It’s getting cooler, the days are shorter and, all of a sudden, heading to the beach doesn’t sound all that great. We’ve updated our list of creative date ideas in Sydney for track-pant, hoodie and comfy sock weather! So you’ve finished work for the week, and want to do something special with the person you love. But what is there to do apart from dinner and a movie? You want to keep things fresh and exciting, but you have no idea where to start. Thank your lucky stars, because we’ve compiled a list of the top ten creative date ideas in Sydney that will get you and your partner firmly out of your comfort zones and in the mood for romance. Does that hefty price tag make its melodies even sweeter? Or its crescendos more climatic? You can decide for yourselves by changing your boring lunch routine and meeting up for a midday date to listen to the monthly free concert at Town Hall. Installed in 1890 with nearly 9,000 pipes, the Town Hall organ is one of a kind (not to mention pretty darn Instagram friendly). It's old, loud and worth millions, but unlike baby boomers, you'll want to sit and listen to it on your lunch break. Aren't we so lucky to live in Sydney where there are so many amazing wildlife viewing spots at our doorstep? From wallabies in Royal Nation Park to hipsters in Bondi, and thousands of humpback whales scooting by the beaches each year! So maybe they haven't quite started the trek north to warmer waters for winter but by May they'll be more regular and easier to spot from the coastline. 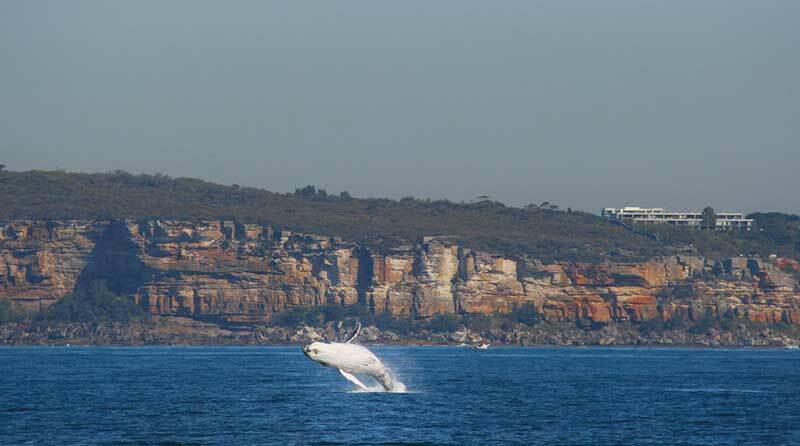 Board the ferry to Manly from Circular Quay and take the scenic route via the walking track behind Shelly Beach up to North Head for some prime views of humpback whales as they glide by. An unforgettable experience. This date idea will be romantic, educational, and completely out of the box. For only $10 per person, you can take a 30 minute day tour of Sydney Observatory. The expert guides will show you how to look for the sun, the stars, the moon, and Venus if the weather permits. Alternatively, if you want a date that feels a little more intimate, you can go on a 90 minute night tour for the low price of $27 per person. Explore the dome and the Planetarium, and use the telescopes to locate the planets or even a nebula. Indulge in the spectacular sights of the Southern sky while spending some quality time with that special someone. Tucked away in a secret corner of Killara, The Swain Gardens is a gorgeous, lush escape from the city. It has everything you’d ever want from a garden, including a gazebo, picnic benches, and a wide variety of beautifully arranged flora. Prepare a picnic of cheese, bread and fruit, and spend the day exploring the natural wonders of this secluded spot. There’s no better place to have a good hour-long conversation and get to know each other inside out. The Art Gallery of NSW offers many free workshops, film screenings, live music, and artist talks in the twilight hours. There’s plenty to see and do. They even have modern art movement classes where you can learn to become a performance artist! They’ll teach you how to embody cubism, so you’ll become a living and breathing work of art. It’s a wonderful way for you and your partner to meet new people, especially if you’re both interested in art and culture. This $10 recurring event takes place once a week in Newtown and Bondi Beach from 7:30pm to 8:30pm. The concept is quite simple, but the results are extraordinary. You’re in a room with very dim lighting, and you get to let loose with all your favourite dance moves in a safe environment that is completely free from drugs, alcohol, and judgement. All you need to bring with you is a water bottle and comfortable clothes. No Lights No Lycra has garnered some raving testimonials from people who love being able to have a healthy boogie without all the trappings of going to a cramped, sleazy nightclub. This wholesome, feel-good date will get you sweaty in all the best ways. Free bowling? Arcade games? Booze on tap? Live music? A round of pool? Yes, please. Thanks to The Standard Bowl, all of these activities are now under one roof. 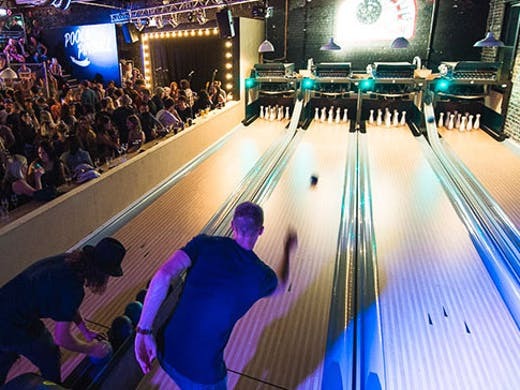 Enter a cozy New York-inspired warehouse space with four bowling lanes that are completely free to play. Sip on your favourite drinks while listening to some of Sydney’s best up-and-coming bands. This venue goes beyond expectations, and you two are sure to have the night of your lives. Get out of your element at Shelly Beach in Manly, where you can spot some beautiful sea life if you have the right gear. If you’re not willing to fork out for a quality pair of snorkels, you might be able to make do with ordinary swimming goggles - but let’s be honest, snorkels are a lot more fun! And the underwater views certainly make it worthwhile. You and your partner can escape the hot Sydney weather by taking a refreshing dip in the ocean. Make friends with all the pretty fish, and who knows, you might even meet Nemo and Dory. Want to get off the couch and do something different? This date idea will have you and your other half feeling like kids again. It’s been scientifically proven that exercise is one of the best ways to lift your mood and give you that natural high, and jumping around together on giant indoor trampolines is definitely a fun way to do it. It’s also pretty affordable, at only $18 per person per hour. So what are you waiting for? Get bouncing! If you’ve never heard of geocaching before, then boy do we have a treat for you. This is a worldwide scavenger-type game that’s completely free to play - all you need is a smartphone and a pen. Download the app, create a free account, and gain access to thousands of geocaches around Sydney. Some of them require you to solve really challenging clues, but some of them are as easy as navigating to the right coordinates. When you find the geocache, open it up and write your names down on the logbook, then put it back for the next person to find. Once you and your partner get the hang of it, you can even create and hide your own geocaches! It will get you exploring the city and discovering places you would never have stumbled across otherwise. If you’re still not convinced by the rest of list, why not try something a little more classic? 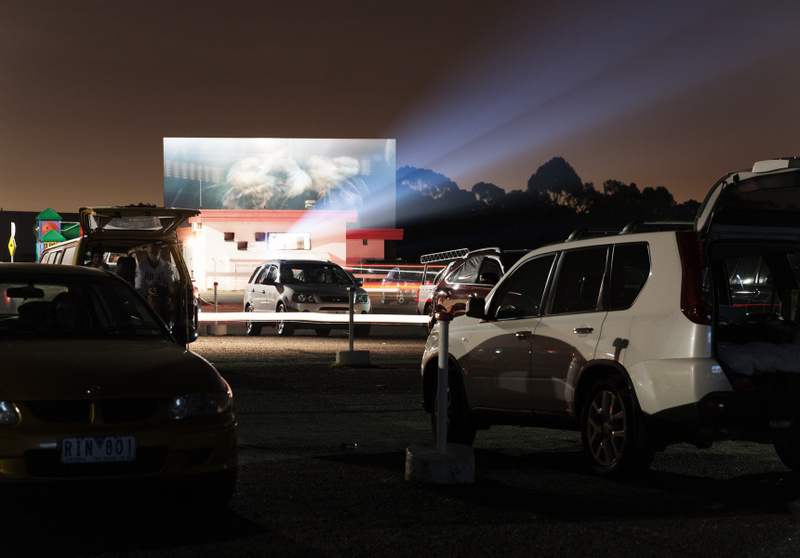 This drive in cinema in Blacktown costs only $12.50 per person, and you can watch the latest blockbusters all from the comfort of your car. Plus, even better, there’s a retro American-style diner where you can pick up popcorn, pizza, or any deep fried snacks your inner child can dream of. Ditch the Netflix, and do dinner and movie with style. If you’re feeling flirty, you can even dress as the characters from Grease and get into some roleplay!